Always on the hunt for products that will give me a perfect base, I can't stop myself from adding to my already overflowing, concealer stocks. Thinking I'd found my holy-grail in the form of Nars Radiant Creamy Concealer, I hadn't felt the urge to try anything new for months. 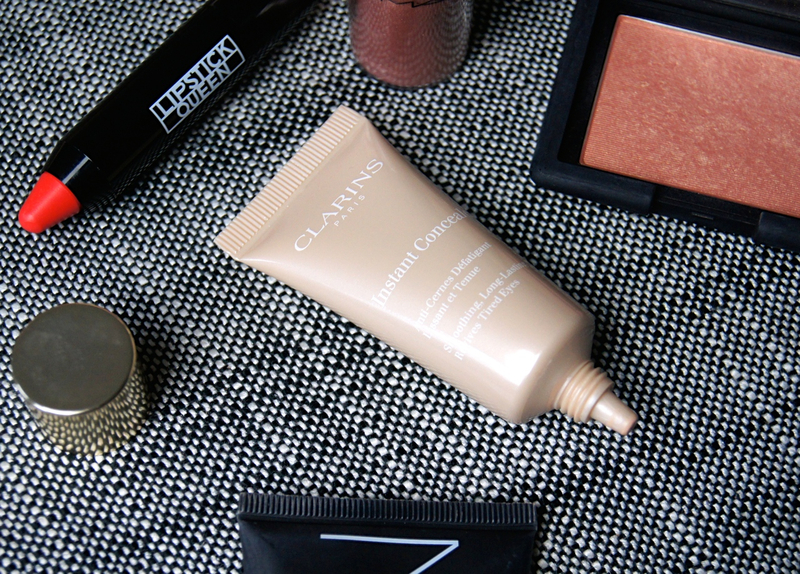 But, after the influx of hype about the Clarins Instant Concealer, I couldn't resist getting my hands on a tube. Shade 01 was sold-out everywhere, but I finally managed to track it down in Sephora, whilst in Dubai. Usually, I like my concealer to be a multi-tasking marvel, fighting fatigue around the eyes, whilst camouflaging any blemishes and redness when I need it to. Faffing around with different formulas for separate areas is too time-consuming on a daily basis. So, when I realised that the Clarins Instant Concealer was targeted at the eyes only, I thought it may quickly become neglected. Ever the optimist, I slotted it into my makeup bag anyway and it won't be leaving any time soon, I can tell ya'! Aimed at perfecting and brightening the eye area, this is a saving grace when you're tired and dark circles have taken over. Colour-correcting the skin, the faint, peach tint to the concealer diminishes the look of blue and purple-toned shadows. Infused with caffeine, to battle bags and aloe vera, to smooth the skin, the product works to actually treat the eye area, too. In a flash, you instantly look more awake, so whoever named the concealer got it spot on. It's absolute magic in a tube. Thanks to the high water content, although thick and creamy, the texture feels quite gel-like. Despite being water-based, the formula is so concentrated and not at all wishy-washy. Beware, a little really goes a long way with this one and I often squeeze out more than necessary, onto the back of my hand. Initially, as you begin to apply, the coverage appears to be sheer and doesn't seem to dilute down all the darkness. 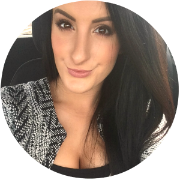 Once the product has settled for a minute, though, the skin starts to look more perfected, with a medium coverage. Personally, I prefer to sweep the cream on with a fluffy brush, then gently pat over it with my finger. The warmth from your fingers helps to soften and blend the concealer without wiping the product off again, which buffing around with a brush too much, tends to do. Giving a natural, undetectable finish on the skin, it never looks cakey. Seriously. Even when building the product up in layers. 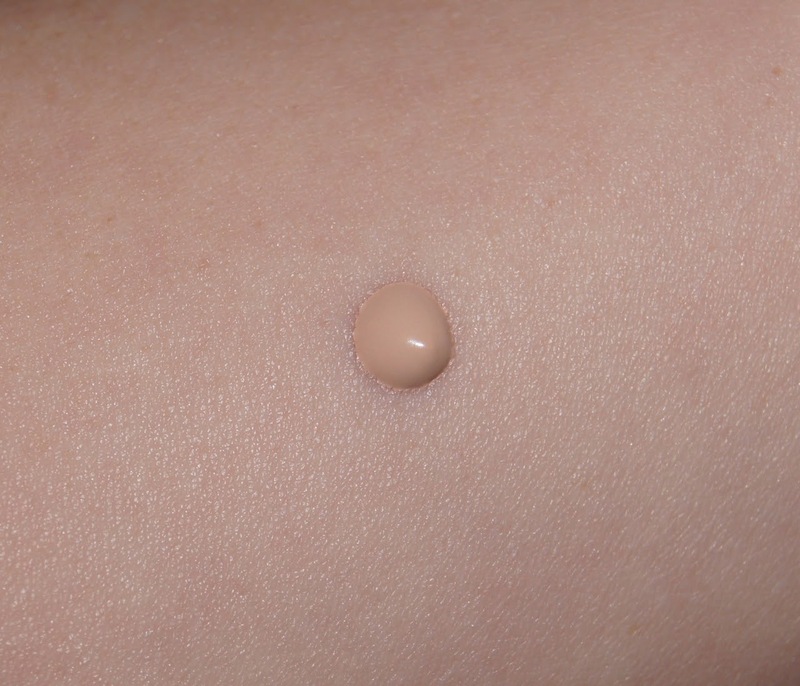 Melting onto the skin, it gives an illuminated, second-skin finish. Surprisingly, despite the rich consistency, it doesn't crease. I'd say most concealers tend to sink into the fine lines (I'm getting old, boo-hoo) around my eyes a little bit at least, but that never happens with the Instant Concealer. Instead, they're smoothed out, minimizing the look of them. The best thing? You don't even need to set it with powder! 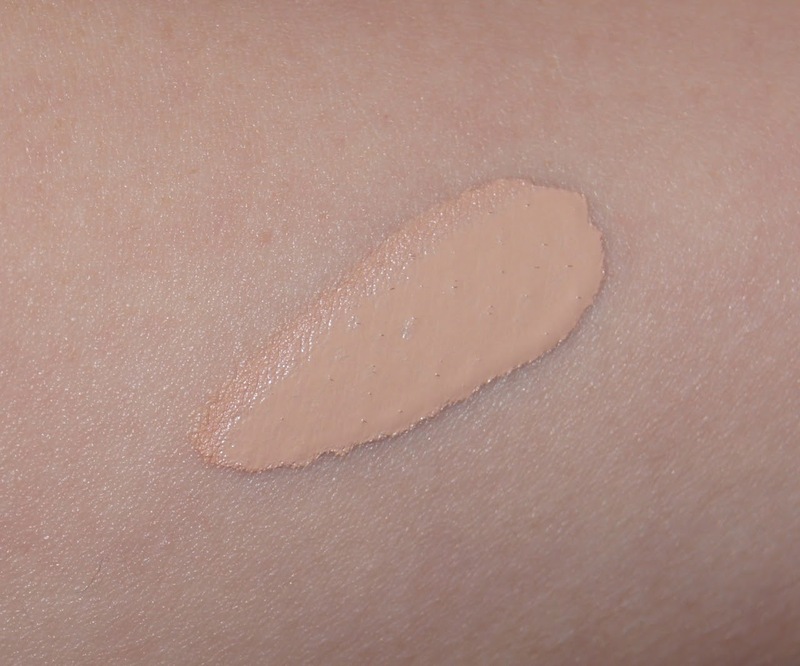 My skin-type is normal to dry and this concealer continues to mask my eye bags until I remove it, but if you have an oilier complexion, I don't know if it would work as well. To see how well it fared when buffed over any redness or blemishes, I did try the concealer out on the rest of my face and it was OK. It gave the skin a lovely, fresh glow and some coverage, but you can definitely tell it's made for the eyes. If you're having a 'no makeup', makeup day and just want one, double-duty product to gently even out the skin-tone, then this is a lovely choice. I'll still be gravitating towards my beloved Nars concealer for everywhere but my eyes on an everyday basis, though, put it that way. As this is predominantly an under-eye concealer, it would be better in a tube with a doe-foot applicator. The squeezy packaging is hygienic, but it makes the application process longer, messier and it's wasteful, if you accidentally press too hard. Unfortunately, there's only three shades available, suiting light and medium skin-tones only. From what I've seen, shade 02 has more of a pink undertone and shade 03 is quite a lot darker, with a strong, yellow tone to it. It's such a shame that Clarins haven't catered for darker skin-tones, as it's a gorgeous product. At £21.50 for 15ml, this is an expensive concealer, especially with the likes of the blogger-favourite Collection Lasting Perfection Concealer, on the market for under £5. But, to find a concealer that doesn't crease under the eyes at all, especially without needing to be set with powder, is unheard of for me. One tube should last a good while, seeing as you need such a small amount per application, too. 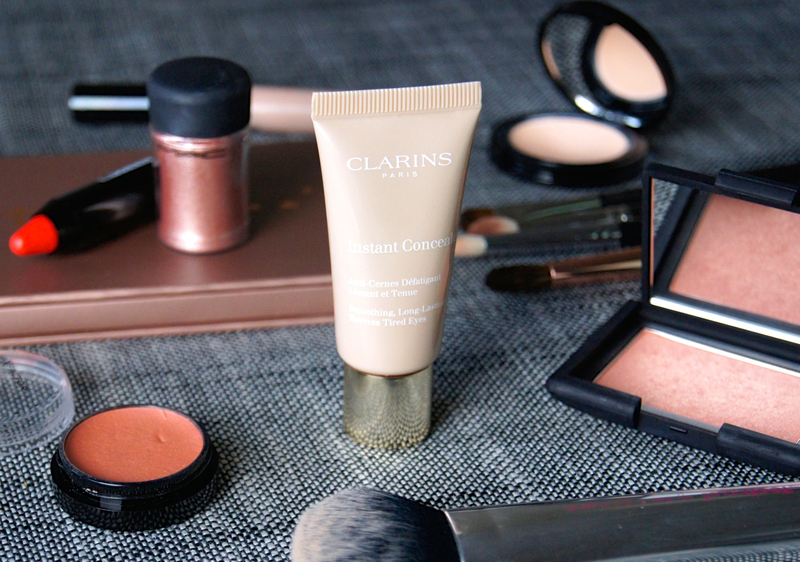 Have you tried this Clarins concealer? I've heard so many amazing reviews on this concealer - I'm thinking a purchase may be requried! I really added this to my wishlist, since in store it seemed really nice. It is really expensive for such a little concealer though, I have to say!